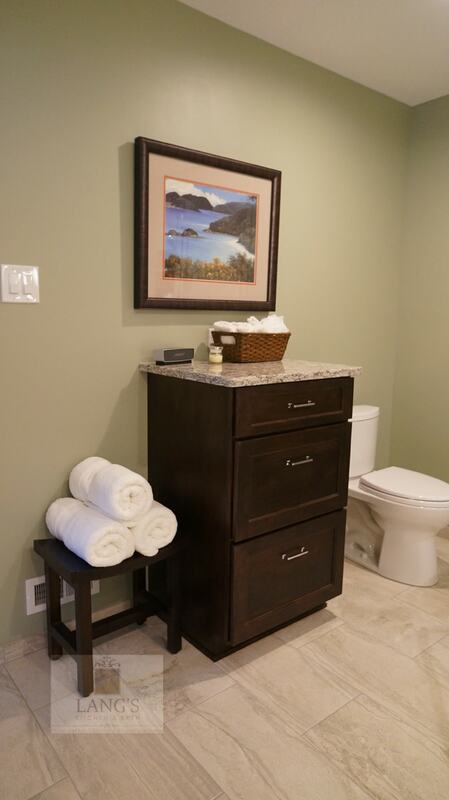 Master bathroom design with alcove shower and dark wood vanity cabinet. This transitional master bath design combines comfort and luxury to create the ideal environment to get ready in the morning or unwind at the end of a long day. 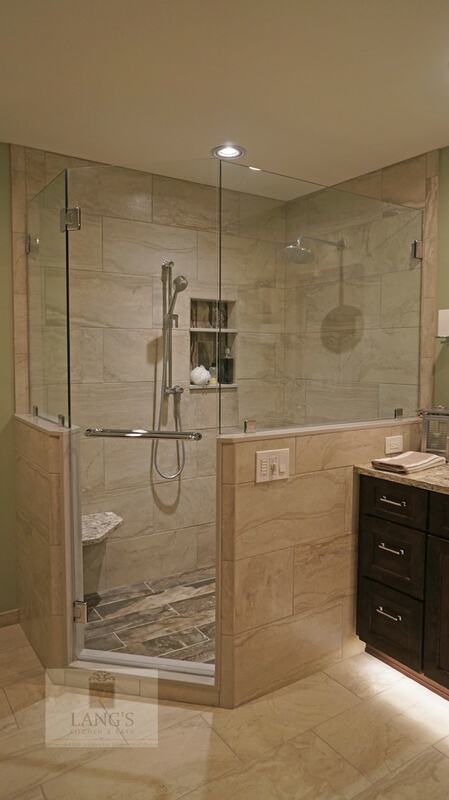 The large shower with a frameless glass shower door includes a shower seat, rainfall and handheld showerheads, a trough shower drain, and a built in storage niche with a shelf. The dark wood Koch vanity cabinet and Cambria countertop bring sophistication to this design, but this design is all about the details. Style details like the featured shower niche, along with Toe kick lights from Hafele, Uttermost mirrors including a wall-mounted makeup mirror, and a Fantech vent with timer set this design apart.